Well after a month of nothing, a couple of autographs have made their way back home to me in the first few weeks of 2012. 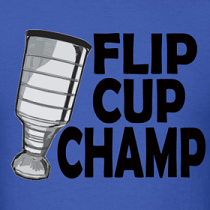 The first one I am going to share with you is from a Toronto Maple Leaf great. 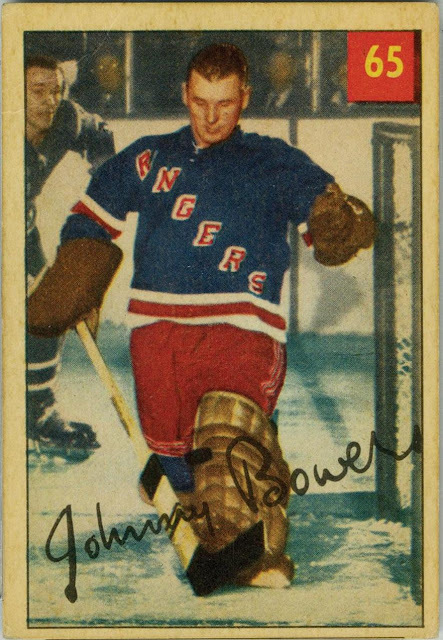 Hard to imagine a player with more dedication, drive and desire than Johnny Bower. Johnny was 29 years of age at the end of his rookie season. Despite a decent first season, he was back in the minors that next year and would not remain at the NHL level continuously until he was 34 years old. However, what he accomplished from ages 34 – 45 would be absolutely remarkable. I want to begin by saying, playing in the AHL in the 40’s and 50’s was still a great accomplishment as there were only 6 NHL clubs and the talent level in the AHL was certainly high. 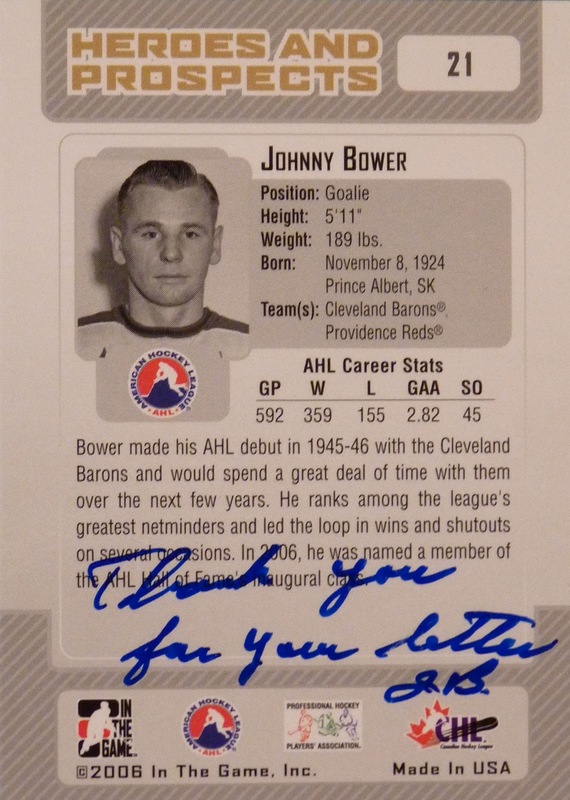 Johnny Bower was one of the BEST in the AHL during his many seasons with the Cleveland Barons and a player that good just needed to be patient and wait for their chance to shine in the NHL. Sure enough his chance would eventually come when the Leafs needed a goaltender in 1958 to work with Ed Chadwick. 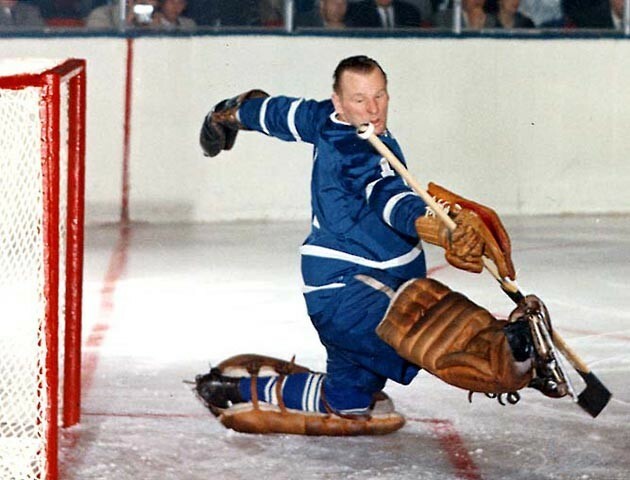 After a loss in the Stanley Cup Finals, Johnny Bower was the Leafs go-to goalie for the next decade. During his time in Toronto, he would win 2 Vezinas, 4 Stanley Cups and earn a resume that would make him a HHOF inductee in 1976. The last Cup in 1967, was won by having both Bower and Sawchuk between the pipes and they would be the last goalies in a Maple Leafs uniform to lift the Stanley Cup. Bower was 42 when he won that Cup and Sawchuk was 38. Kind of makes the Brodeur/Hedberg tandem seem young! What is truly inspiring is that Bower NEVER gave up on trying to make the NHL and much like Tim Thomas, he was patient and when his time did come, he made the best of it. I can’t help but imagine that Tim was thinking of old Johnny on those cold nights in Finland where the NHL might seem like a million miles away. Here is his rookie, it is from the 54-55 Parkhurst Set. I don’t own this card yet, but it is certainly one I would like to some day. It books for about 400 dollars in good shape but of course lower quality ones can be had cheaper! I mailed away one card. The ONLY card of his I owned at the time which was a reprint of his 66-67 Topps card. This card was an insert that came out in the early 2000’s and I was able to buy it for a buck with the hopes of getting Mr. Bower’s auto. What I got back in return was this card as well as a little bonus as you will see. As you can see, the auto is beautiful. He put his #1 with it and the signature is all class. The card is just really cool looking and I am very happy to own it. What surprised me was this second autograph which he gave me a second signed card. Here is a card from the ITG 06-07 Heroes and Prospects which he kindly gave me autographed. The card features a headshot of a very young Bower from his Cleveland days and again a very classy autograph. But the biggest surprise was yet to come when I turned the card over…. Here is a message from an AHL and NHL legend to me, thanking me for my letter. What a classy guy! I really enjoyed writing him and for him get give me TWO autos and a little note back is certainly a huge reward. Did I mention I only wrote him 3 weeks ago and I already have the autograph back? Certainly a class act and I hope others take the chance to write Mr. Bower because he certainly loves his fans and treats them very well. Well that is it for this week; next post is an auto from one of the BEST American NHL players of all-time! JB sounds like a great guy. Growing up my buddy had a cottage up by Bower's place and he would always sign stuff for the kids on the lake. Bower, what a stand up guy. Did you have to pay for the autos? Johnny Bower is one of the nicest guys around. 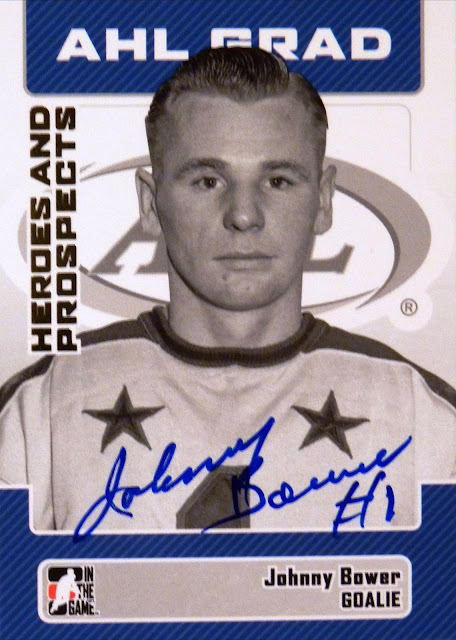 I have a great Johnny Bower story to share. 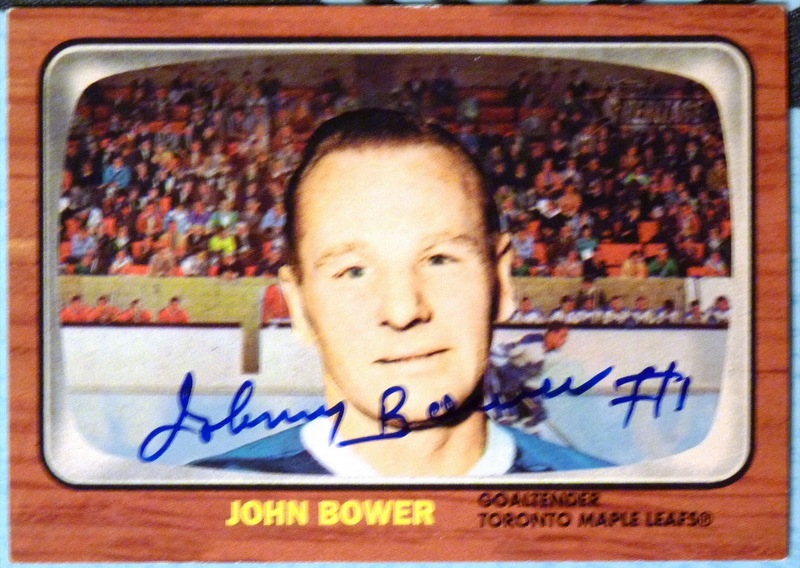 Some of you might know that Mr. Bower frequents Leaf games and recently at my son's first Leaf game we saw Johnny on the concourse. I was shocked when my son froze right in his tracks and stared and Mr. Bower in awe. I didn't even know my son knew who he was! Anyways, Johnny saw my son with his jaw dropped and immediately came over to say hello. He autographed his Reimer jersey for him and his Leafs ball cap and even asked my son how his hockey season wasn't going. I know my son will never forget that day and I will always be very thankful to Mr. Bower for taking the time to talk to my son. Thanks guys, and that is a very cool Bower story! He seems to still get around the GTA and is always making time for kids and fans. I didn't need to pay for this auto, all I did was write him a letter and asked him if he would be kind enough to sign one for me. Most of my autos on here I don't pay for, but if I ever do have to pay, I certainly post that as well!